Eviedale campsite is under new management and is opening in April 2017. 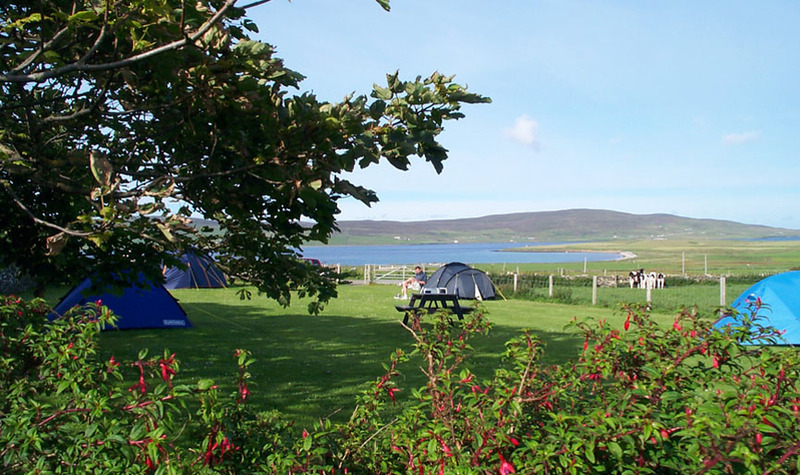 We look forward to welcoming you to our small family run campsite, in this idyllic and peaceful location,with lovely views over the fields down towards the Eynhallow sound and the island of Rousay, in the heart of Evie Village. 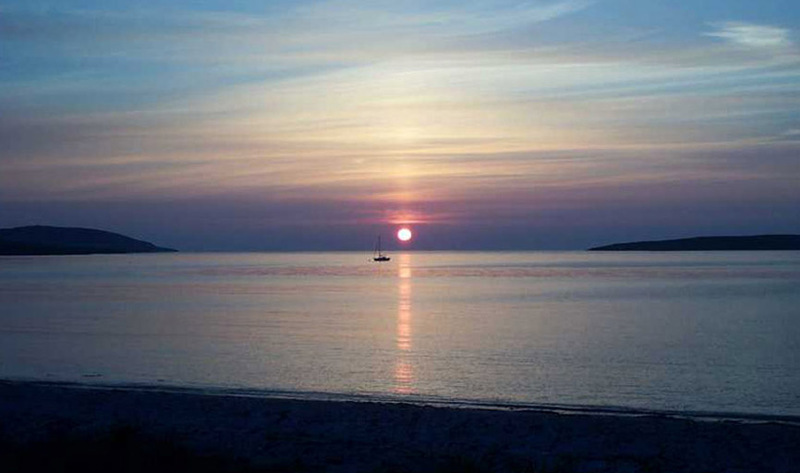 We are a stones throw from the beautiful sandy Evie beach and the Broch of Gurness, which is just around the bay. Pods of whales and seals can sometimes be seen frolicking in the sea nearby. 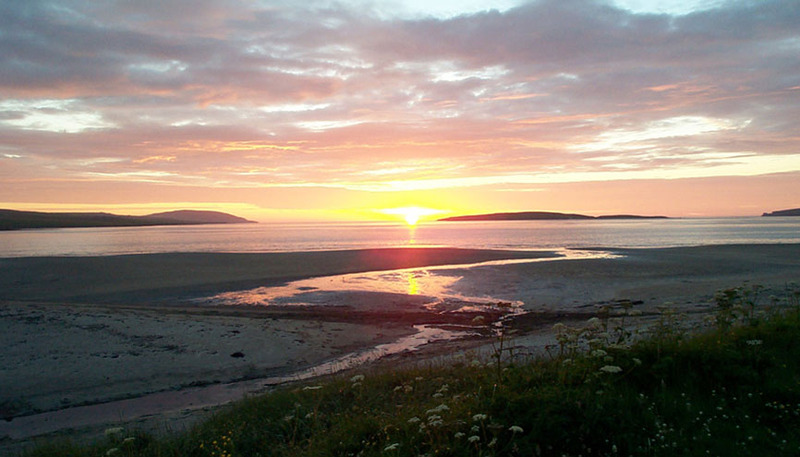 Evie is perfectly situated to explore the many sites Orkney has to offer and we are approximately 30 mins drive from Kirkwall and 20 mins drive from Stromness. Our site is split into two areas; The Larger site is in the grassy field opposite the main site with stunning views down to Evie beach and Evie bay. The smaller site is next to the shower and toilet blocks on the main site next to the self catering cottages. There is limited parking on both sites. This site is perfect for cyclists as we are on the North Sea Cycle route. 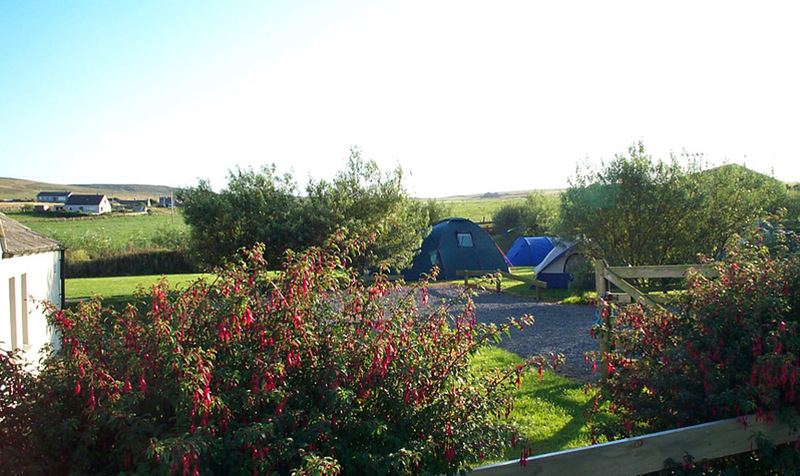 This small campsite is quiet and secluded, perfect for some quiet family camping. We ask that children are accompanied at all times, especially when crossing the road. Our facilities include male & female showers & toilets, with power sockets for mobile phone charging and hairdryer use. There are washing up amenities located externally at the side of the shower block. We are dog lovers, and well behaved dogs are welcomed at Eviedale campsite in the field site, by prior arrangement only. Dogs must be on a lead at all times and must not be left unattended on the campsite at any time. It goes without saying that you are responsible for cleaning up after your dog, facilities for this are provided. You can pre-book by using the book now option on our website or just turn up, on a first come first served basis. We would appreciate an indication of your arrival date to ensure we can accommodate you. We are looking forward to adding Glamping pods to our offer in the near future, so keep an eye on our social media for details.